In the early Sixties Mervyn played bass in the popular local group the Del 5, and was later to be the driving force behind White Sound Amplification. 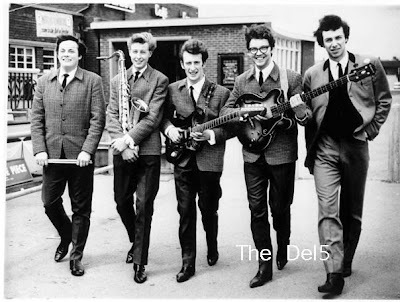 The Del 5 pictured in happier days - Mervyn is second from the right. The funeral takes place on Tuesday 23 June 2009 at 10.30 am at Sunderland Cematorium.